Looking like a long white beard hanging down towards a foaming pond, the 55 m (180 ft) drop of Pinaisara Falls makes is the city's highest falls. Accessible both by foot and by canoe, the location provides plenty of trekking, kayaking, and swimming opportunities capped by a view from the top of the falls. Some say the falls resemble a long white beard hanging down, which is how the site got its name. Experience the sights and sounds of rare birds and watch subtropical trees while sitting in the pool beneath the falls. The site begs for photos but the climate is tropical, so bring cases for cameras to protect them from the humidity here. 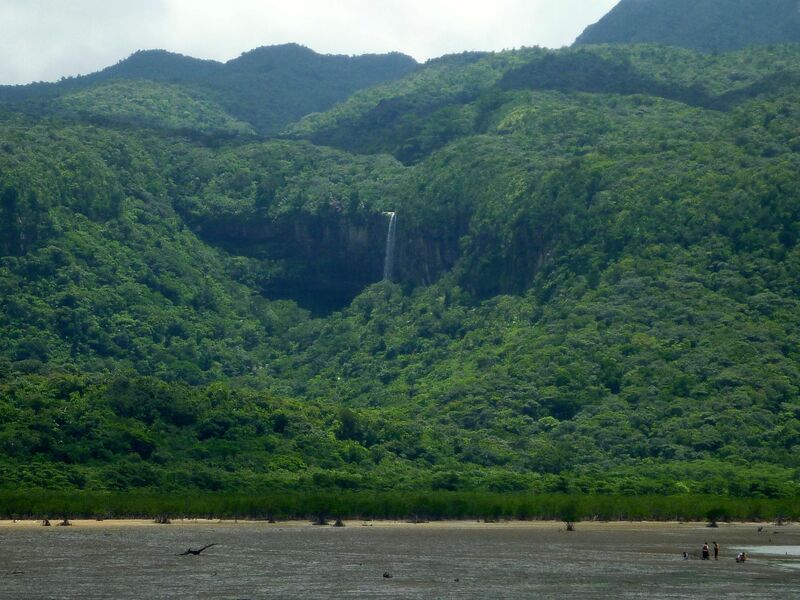 Plan your visit to Pinaisara Falls and a wealth of other attractions, well-known and undiscovered, using our Iriomote-jima trip itinerary app . So I went to the day after the heavy rain was water great! Trekking is great even in the rain! Rain kayaking and trekking's mysterious and, were very helpful and there is no one! You could go trekking day sunny day. The sea seen from the top of the waterfall is really clean, the. Funny little is going on tour with the top and bottom of the falls would go both courses! It is falls boasts the best head in Okinawa. Location of their mist out, shedding water when I visited was very windy. Visit assumes calm if wet. Great views from the top of the falls! In short it is. In this view only pay air fare. You should also go canoeing and trekking in this waterfall. You could taste the extraordinary, so both through the mangrove forest. Awesome waterfall that's worth a quick tour. Pinaisara means "old man beard" in Japanese, apparently. It's named as such because, from a distance, the falls look like the beard of an old man. I recommend hiking to the bottom of the falls to swim first before making the 20 minute hike to the top of the falls to take in the view. We did a day tour kayaking and then hiking to the bottom and top of the falls. The experience of the river and jungle hike were really memorable despite the amount of tourists. Fully recommended, including going to the top of the falls, the view of the jungle, the beach, and the ocean is unforgettable. Wonderful trekking experience to the top and bottom of the waterfall. Joined a tour on Veltra which provides buy-one-get-one-free mangrove kayaking and mountain adventure full day tour (6 hours long). Awesome experience! we did a daytrip there and it was one of the best of my life. awesome and fun guide, cool group, good activity (kayaking, hike, local food, swimming), great view. All in all awesome! The falls was truly a natural product without any human contribution. It took us 1 hour to arrive there from the port, but i'd say it worth to do so. Every day, we help thousands of travelers plan great vacations. Here are some tips on how to use your Listing Page to attract more travelers to your business - Pinaisara Falls. 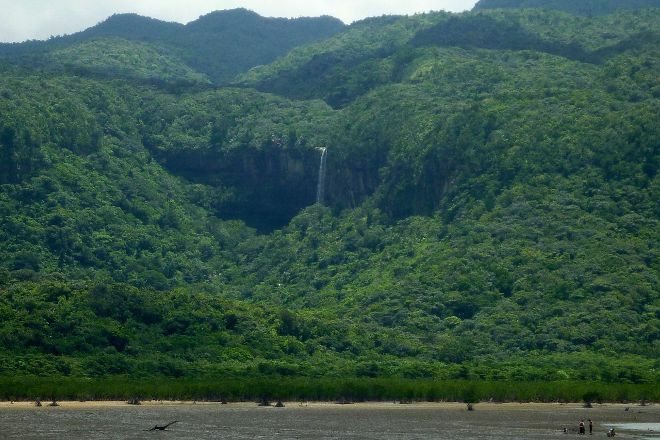 Promote your permanent link - https://www.inspirock.com/japan/iriomote-jima/pinaisara-falls-a166926513 - on your website, your blog, and social media. When a traveler builds a plan from this page, the itinerary automatically includes Pinaisara Falls. This is a great way for travelers looking for a great vacation in your city or country to also experience Pinaisara Falls. Promoting your link also lets your audience know that you are featured on a rapidly growing travel site. In addition, the more this page is used, the more we will promote Pinaisara Falls to other Inspirock users. For best results, use the customized Trip Planning Widget for Pinaisara Falls on your website. It has all the advantages mentioned above, plus users to your site can conveniently access it directly on your site. Visitors to your site will appreciate you offering them help with planning their vacation. Setting this up takes just a few minutes - Click here for instructions.